Goncalo Abecasis is a leader of genetic analysis of complex human traits. 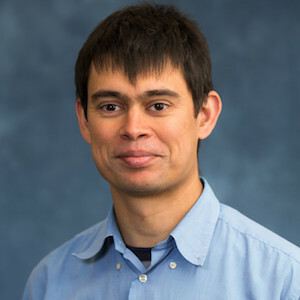 His team has developed statistical methods, computational algorithms and software that facilitate quick, accurate analysis of genetic studies of human disease. His studies enable a better understanding of human genetic variation and its role in disease biology. Abecasis has made important contributions to understanding conditions as diverse as heart disease, diabetes, psoriasis, macular degeneration. Ongoing projects include the sequencing and analysis of >50,000 deep human genomes – an unprecedented amount of data. Abecasis leads the University’s Biostatistics department, which is training a new generation of scientists and making contributions to the statistical and computational machinery for the analysis of diverse types of biomedical data – including not only genomic data, but also electronic health records, registry data and health surveys, a variety of imaging data types, and environmental exposures, among others. The rapid advances in genome sequencing and genotyping technology are enabling increasingly detailed analysis of human genetic variation. In the next year, we expect to analyze >50,000 deeply sequenced human genomes, corresponding to ~5 million billion bases of raw sequence data. The generation, transfer and analysis of the data present many opportunities for scientific discover – enabling better understanding of human history, biology and disease. It also presents varied computational and analytical challenges as well as opportunities to develop and implement new analytical strategies and modes of data sharing. I will illustrate these challenges and opportunities with examples from ongoing studies.